If you are in love with giant panda you are not alone. There are hundreds of individuals around the world who are in love with giant panda and would do anything to have a glance at the panda in its natural habitat. However, before you can finalize your China tour and go on your own expedition, it is important that you know a few things about the behavior of this amazingly cute animal. The biggest attraction of the giant panda is that they have a stress free life. You will never be watching them running around going from one place to another. It is a very calm animal that will stay in its place regardless of what is happening around it. You might feel like the giant panda might get bored but the reality is that they can never get bored. Until they have food to sleep and place to rest there is nothing that can make them move from their ideal place. If you will pay attention to the eating habits of giant panda you will be surprised. The reason is that they can continuously eat for 14 to 16 hours but still they do not get fat. Are you wondering how it is possible? 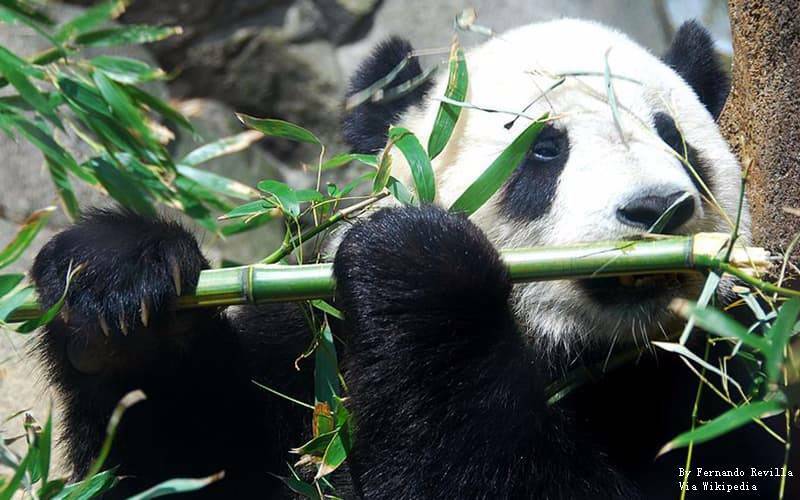 The situation is simple, the only thing giant panda like to eat is bamboo. There are not enough nutrients and calories in bamboo that can last for a long time. The is the reason that in order to maintain the energy levels giant panda can eat for as long as they like and their body will easily utilize all the calories that they have consumed. 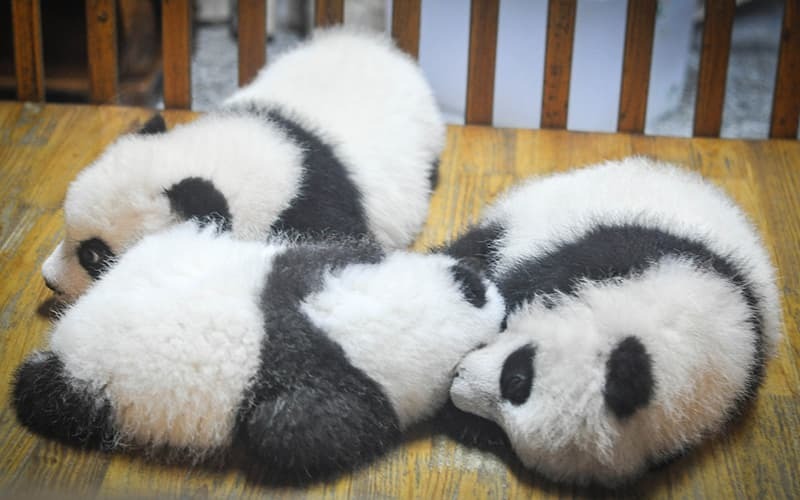 giant panda do not like to sleep for a long time because they will get hungry and they will have to wake up for more food. 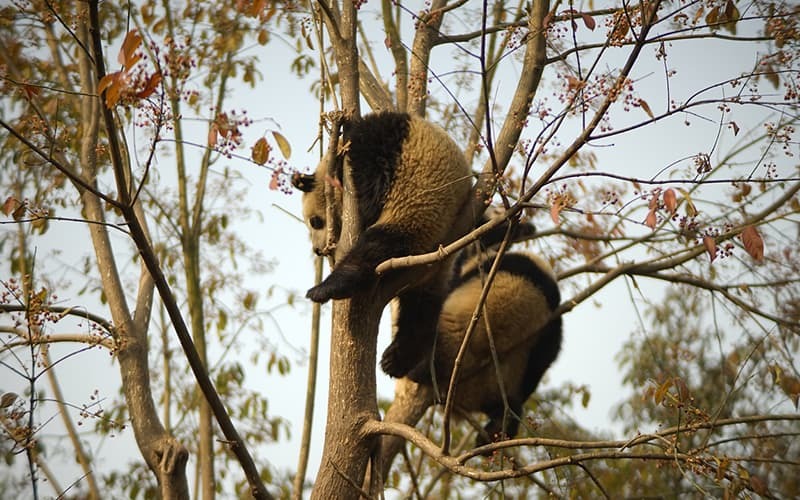 This is the reason that most of the giant panda will sleep for 2 to 4 hours. In that time they either sleep continuously or they will take a small nap between the meals to assure that they will not get tired from all the eating routine. Even their sleep time is limited because of the food they are consuming. This is the reason that giant panda even do not sleep at night. You will be surprised to know that hibernation is not an option for the giant panda and it is all because of their diet. They can eat all the bamboo they want but still, they will not be able to store enough energy that can allow them to hibernate in the winters. This is the reason that they prefer relocation. In winters the giant panda will move to the areas of lower altitudes to protect themselves from the cold winter winds and once the winter is gone they will go back. If you are planning to go near the giant panda, one of the most important things you have to consider is the solitude of the giant panda. Until it is the mating season you will notice that pandas like to sit and eat alone. They are not commonly joined by other pandas because they prefer their own companies. This is the reason that you are not allowed to make any kind of noises that can startle the giant panda. It is advised that you remain quiet just like the panda. We all know that bears have a very aggressive nature and they will attack anyone that they want. They will not wait for long hours and immediately become an attacker if they will feel threatened. However, in the case of giant panda, you will not have to worry about any attacks. There are rare cases in which the giant panda will attack other animals or humans. They have a very gentle nature. They prefer to protect themselves instead of getting into any kind of fight. The vision of giant panda is not very strong and that is why they use their sense of sound and scents. They will mark their territory with the help of scents so that other panda will not enter their place. They have matting scents as well that is used to mark their partner. In the same way, they will listen to sounds to attract and find out their partner when they need. If you are planning to watch the giant panda it is important for you to know that their mating season is from March to May. The female will be pregnant for 5 months and baby pandas are born from July to September. Plan A Private Panda Tour with UME!